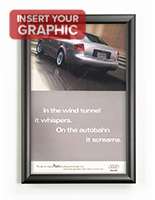 This Picture Frame Is For High-End Product Environments! 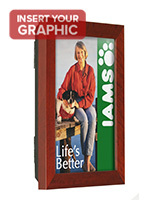 This Picture Frame Is An In-Door Wall Display! 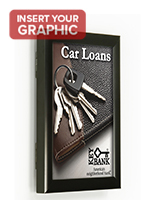 11" x 17" 18" x 24"
This picture frame, likewise recognized as a sign display, is fabricated from aluminum with a silver finish. 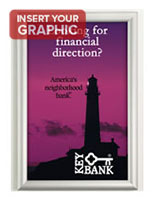 To exchange your sign, merely open the front door panel, exchange the sign and secure the door shut with the patented gravity lock system (see inset image to the right). 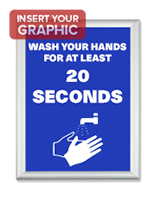 Your sign is held in place on the backer board utilizing the provided re-usable sticky tabs. 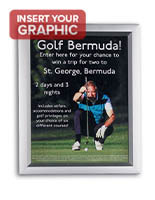 This wall picture frame effortlessly mounts to the wall with the provided screws, anchors and attached mounting bracket. 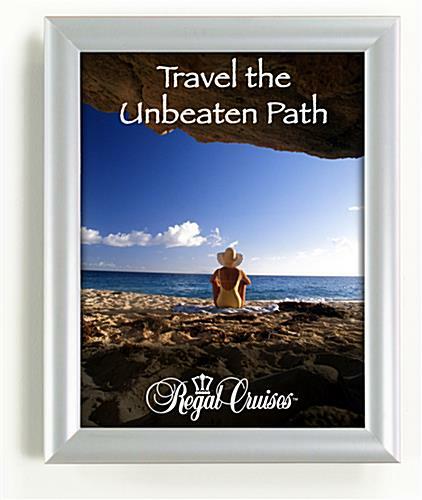 This upscale frame is for indoor use only. 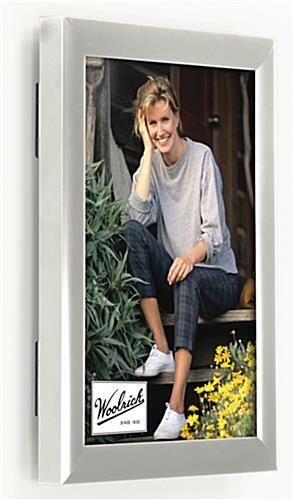 This wall picture frame is an extremely upscale sign holder. 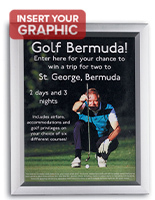 The picture frame or photo holder, incorporates a swing open front door panel permitting for fast and easy sign changes. 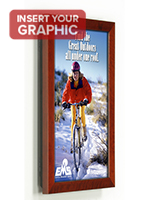 This wall picture frame is very popular in high-end environments such as high-end auto dealerships, retail environments and business offices. 10.0" x 12.5" x 1.0"